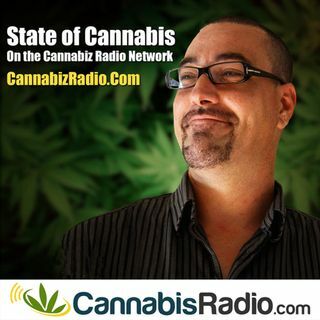 Today on State Of Cannabis Dave is Joined by Lori Glauser the Co-Founder, Chief Operations Officer, and Director. EVIO Labs is the leading national provider of accredited cannabis testing, providing high quality analytical and consulting services for agricultural and biomedical industries in North America. EVIO Labs is dedicated to providing clients with superior customer service, reliable results, and world-class expertise. No matter which lab in the EVIO Labs network you choose, you will ... See More receive the same high level of accuracy, customer service, and professionalism. Ms. Glauser is responsible for the strategic growth and day to day operations of EVIO Labs. Along with CEO Will Waldrop, Signal Bay and EVIO Labs grew from a startup advisory firm in 2014 to 5 labs during the first two years of operation and are on track to open 18 labs by the end of 2018. Lori also leads the Advisory Services division which has provided services for dozens of startup companies that are now licensed to operate in the cannabis industry. Lori is also the founding chair of Women Grow – Las Vegas served on FOCUS standards committee, co-author of Medical Marijuana Desk Reference, and is a frequent speaker at industry conferences. Lori founded Signal Bay and EVIO Labs on a foundation of 25 years’ experience in engineering, management consulting, and startups. Her expertise lies in business planning and operations, business process design, financial forecasting, risk, customer experience, and regulatory and policy. Previously, Ms. Glauser was a management consultant focusing on the energy industry with leading firms including Ernst & Young, IBM, Financial Times Group, and SNL Financial. She also launched two bay-area tech startups. Lori has a BS in Mechanical Engineering from the University of New Hampshire and an MBA from the University of Alabama.